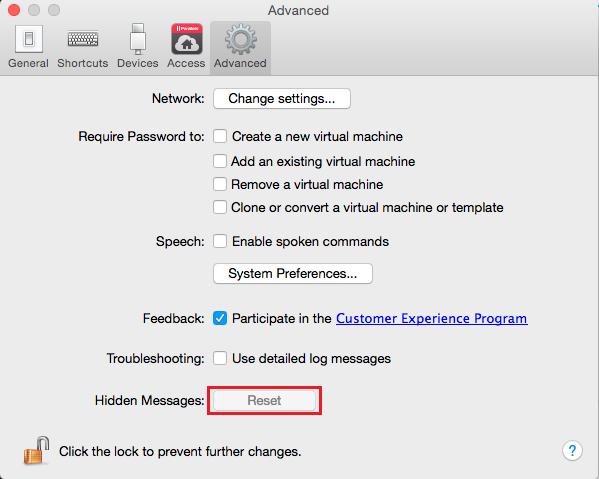 I want to reset the settings for all pop-ups that appears in Parallels Desktop such as 'Where do I want to connect device (Mac or Windows)', 'Are you sure that you want to stop "virtual machine"? ', etc. 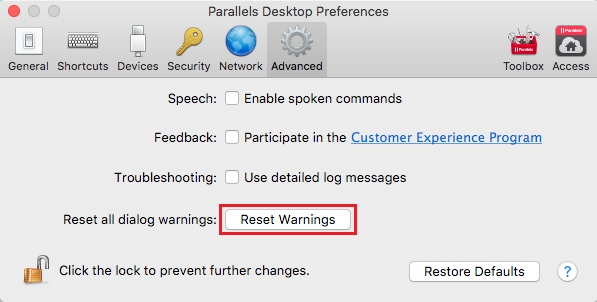 Go to Parallels Desktop > Preferences > switch to Advanced tab > Reset warnings. Go to Parallels Desktop > Preferences > switch to Advanced tab > Reset Hidden Messages.